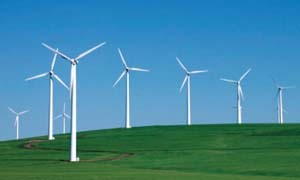 We are proud to distribute the 1MW Horizontal Axis Wind Turbines from Urban Green Energy (UGE). 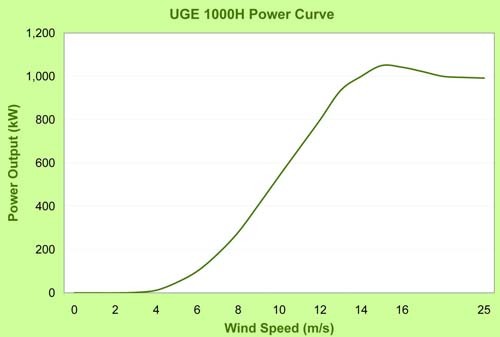 Our UGE 1000H turbine is designed to meet the variable wind conditions or grid specifications at your location. We can tailor our products for a wide variety of sites, from different tower heights to varying blade lengths. The integrated cooling and heating systems ensure that our turbines can operate in all types of weather. The UGE 1000H can operate in temperatures as low as -20°C and as high as 40°C temperatures while withstanding temperatures as low as -40°C and as high as 45°C. UGE Wind Turbines are among the quietest wind turbines in their class, measuring a sound level of 101.4dB(A) at a wind speed of 8m/s. The generator has Class H insulation to ensure noise is not an issue. The blades are engineered to minimize noise. The core of our business model is the availability of our products. We make every effort to provide a solution for all of our customers. We place a remium on having some of the shortest delivery times in the wind energy industry – something that our skilled manufacturers work hard to support. If you have a narrow time frame, count on UGE to deliver.